BRENTWOOD, CA--(Marketwired - Nov 12, 2013) - This Saturday, November 16th, be among the first guests to preview William Lyon Homes' Cielo and El Sol at Palmilla when the on-site Preview Sales Center opens its doors at 10 a.m. It's the perfect time for buyers who want a brand new, attainably priced home in a great Brentwood location to take a 3D virtual tour of each home, review detailed floorplans and receive information on included features. 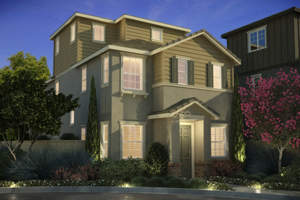 Prospective homebuyers can also learn how to take the next step to pre-qualify so they can be among the first to take advantage of pre-sales at Cielo and El Sol prior to the model grand opening in spring 2014. "Cielo and El Sol will introduce architectural designs that appeal to the sensibilities of today's young couples and families who desire a stylish, efficient home in a community where they can enjoy the convenience and dynamic lifestyle they aspire to," said Lesley Pennington, Vice President of Sales for William Lyon Homes. "Contemporary floorplans at prices within their reach and a prestigious Brentwood setting near new schools, restaurants, wineries and local shopping offer the important balance homebuyers are seeking, and we expect Cielo and El Sol to generate an overwhelmingly positive response this weekend and in the months to come." An intimate enclave of 56 brand new homes, Cielo at Palmilla will offer modern courtyard designs. Four two-story floorplans will range from approximately 1,770 to 2,422 square feet, with 3 to 5 bedrooms, 2.5 to 3 bathrooms and 2-car attached garages. Prices are anticipated to start from the high $300,000s. A limited opportunity of 49 homes, El Sol at Palmilla will introduce detached architectural designs that will range from approximately 1,356 to 1,789 square feet of two and three-story living space, with 3 and 4 bedrooms, 2.5 to 3.5 bathrooms and 2-car garages. Pricing at El Sol is anticipated to start from the mid $300,000s. As residents of Brentwood's master-planned community of Palmilla, Cielo and El Sol homeowners will experience a vibrant, well-rounded lifestyle. Parks and golf courses are nearby, and close proximity to Highway 4 offers easy accessibility to major employment centers. Cielo and El Sol at Palmilla are located within the Brentwood Union School District and the Liberty Union High School District. To visit the Cielo & El Sol Preview Sales Center, travel north on Highway 4, exit Sand Creek Road and turn right. Turn right on Minnesota Ave., left on Central Blvd. and left again on Palmilla Dr. 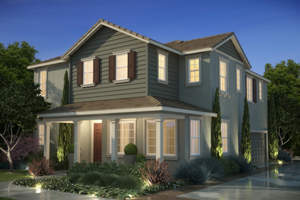 The Preview Sales Center will be open daily from 10 a.m. to 5 p.m. For more information, please call (925) 513-6965 and register at LyonCielo.com and LyonElSol.com to place one's name on the interest list. Prices are effective as of the date of publication. Pricing is approximate and is subject to change without prior notice. BRE Officer License: 00982816.